Thom’s Thought Transmissions: Let The Game Begin! More Thom’s Thought Transmissions, after the break! First, Ohlen starts talking about new content. He mentions new flashpoints, operations and solo content, which will be located on new worlds. As I speculated on which worlds would come next in a previous Transmission, I will not delve further into that, but my thoughts on what this solo content might entail are varied. Every world so far has separate content for every class available, each character’s class storyline is continued through every planet, and it keeps getting interesting for me at least. 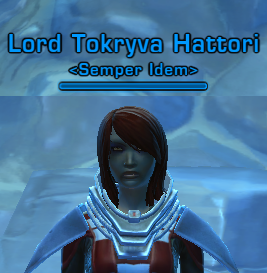 I am currently a level 39 Assassin in the middle of my Hoth storyline. Next to the class story available on each planet, there is the planet’s own core storyline. Many will have gone through Balmorra by now, and the story revolves around the resistance against Imperial occupation of the planet, which the locals do not like. Granted, I do not know the story from the Republic’s perspective, and I also know that it is higher level for the Republic than for the Empire (Republic gets Taris first after Coruscant, where Empire gets Balmorra) but it is safe to say that every future planet will have a significant part of story to it, a real reason to go there. Where the class story is the main plot, the planetary questline is the supporting plot, and any extra quests available are just that-side quests. For every character the supporting plot is the same, so that will be a staple for these future planet’s solo content. Especially given the fact that BioWare’s whole game philosophy revolves around story. But incentive to go to new planets, will revolve around the class story. What can BioWare offer here? Without giving away spoilers, that is hard to say. But it has to be exciting for sure! It has been stated before, guilds are what keeps players tied to the game. So it is not surprising that guild functionality is high up the list of things to come. Beyond the obvious such as a guild vault, and the long-away dream of guild capital ships (*drools* Yeah, I am my own guild’s leader, this is really special for me) there is a huge gap to fill. What might come? We are getting guild leveling, but what will a guild get from it? Guilds in TOR are very player-centric, they are not really tied into the game. Not without purposeful intent of the guild’s members at least. It will be hard to deliver on compelling unique content here, but I trust BioWare to get it right. Guilds might get these? Awesome! Also a staple to the game, is the usability and customizability of the User Interface, or UI. Also high on the priority list, I can say that a lot can be done here to provide. We might get addon support or BW will add their own ‘addons’ to control this form of third party content. We might get simple things such as color schemes, but personally I love the way the blue works. Things I would really love to see, and hope to see, are special screen visuals that trigger when certain conditions are met. I think here of the World of Warcraft addon Power Auras, which Blizzard themselves adapted into their own version in the Cataclysm expansion. I do not like how I have to look at my bars and my buffs to see when I get Energize procs, or when I can use my Harnessed Darkness to full effect; I would rather look at the flashy awesome lightsaber battles, and the stunning planetary visuals surrounding us! Even though I have yet to do any serious PvP, I do hear a lot about how great especially Huttball is turning out to be. Always something going on, very intense and teamwork shines. I would love to see more variation to maps to play Huttball on, because I suspect that at one point, it will get boring to see the same area time after time. Also, more Assault type maps such as Voidstar look very enticing. Also in the realm of possibilities, are more kinds of game mode. We now have an assault map, a reverse CtF or bombing run map, and a king of the hill map (Alderaan). What might be fun, is a pure deathmatch, a small area where mayhem may prosper. Or even more planets like Ilum where a persistent base race that simulate the war between both parties. Story can be a powerful guideline and ideabox to pull more PvP content from. I love The Republic on Gamebreaker.tv, and especially when they pull out their tinfoil hats. And with the space combat future, we might see some epic things down the line. Space PvP? 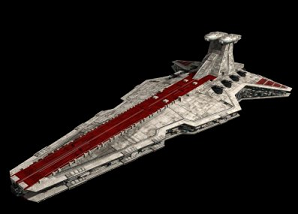 We can upgrade our ships, so it would be a truly awesome addition. There might also be racing simulators, swoop races in space with your own space ship as the vehicle! Compete against friends or even a server-wide leaderboard that keeps score. Guild v Guild combat when capital ships are in the game? Oh my… the possibilities are endless. And then there is the Legacy system. Currently, it is a last name shared across all characters on your server. 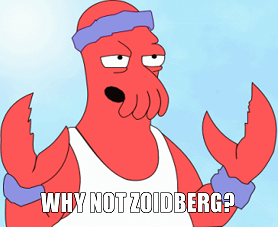 Names so far that I have seen include Immortal, Chaos, and even Zoidberg (Of course he was playing a Sith Pureblood). But it can be so much more! Special powers that you can get your alts leveled faster with is the first thing that springs to mind. Any way to really personalize your own experience that gets shared across your characters can be great. I hope BioWare gets this, and everything else right. The game is already great, but it can be even greater! Now, what do you think? Leave it as a comment below, and together we will look towards the future with great expectations. And as always, may the Force be with you always!